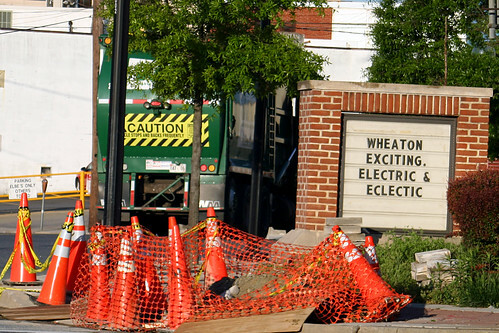 just up the pike: whatever happened to wheaton? WHAT'S UP THE PIKE: Our "District 4 Head-to-Head Tour" commences later this week as we talk to candidates Mark D. Fennel and Nancy Navarro. A sign in Downtown Wheaton. Photo by IntangibleArts. Thayer Avenue pointed us to news that the Arlington Cinema 'N' Drafthouse will be taking over the Loews Cineplex 11 in Westfield Wheaton (also known as Wheaton Plaza) later this summer. The newly re-named Montgomery Cinema 'N' Drafthouse will have six screens playing a mix of first-run, second-run and independent movies, along with some stand-up comedy. There will also be table service, as is currently the practice at Arlington and the former Bethesda Cinema 'N' Drafthouse, now a live theatre. And it won't the first time that art-house films are playing in Wheaton, as the Loews Cineplex 11 tried to compete with the AFI by showing indie movies a year or two ago. The centrally located new 6-Theater Entertainment Complex, located in Silver Spring in Montgomery County is a very short distance from Potomac, Rockville, Bethesda, North Bethesda, Kensington, Chevy Chase, Olney, Beltsville, Laurel, Burtonsville, College Park, NW Washington DC and Downtown Washington DC. Frankly, I'm surprised they didn't find a way to name this venue "Far, Far, Really Far Northeast Bethesda Cinema 'N' Drafthouse." Not only do they slap "Montgomery" on the name, ignoring the community it happens to be located in, but they don't seem to know what community that is, either. Real nice. I suppose all of those people coming from Northwest D.C. and Potomac just wouldn't feel right spending their evening in Wheaton, and even the idea of going to Silver Spring makes their skin crawl just a little. Oh, well. At least I can have beer at the movies now. So would you say the same for "Montgomery" Mall (or whatever it is these days)? Is Westfield ignoring the community the shopping center is in - Bethesda? - You can have beer now at the movies at AFI and the AMC Theater in Mazza Gallerie. - Why does everyone sympathize so much with El Pollo Rico? They were laundering money to avoid paying taxes. Meanwhile, my county property taxes are set to increase. I'd bet dollars to donuts the "accidental" fire was part of some insurance scam. For one thing, I can take the bus here rather than drive, and furthermore, there is a screaming need for more places that cater to the cultural and social needs for people who are old enough to drink but who don't want to do their out-and-about drinking in meatmarket bars. Hey, you can get beer and a movie and food with your beer, I suppose. What next, a good old-fashioned "Beergarten"? We can only hope! If these guys will have an Open Mike Night that amounts to a small concert venue, that could really bring some life back to Wheaton, which for some values of "culture" has been a vast cultural wasteland since the old record-store and punk-rock theater went out of business and was replaced -- with only the most subtle of irony, in my humble opinion -- with the Gilchrist Center for Cultural Diversity. Shouldn't we be viewing this as a failure of Wheaton Plaza to attract a major movie chain? There's plenty of land to build a new megaplex downtown, but keeping a second-rate theatre company will not work towards the goal. The chicken I head for in Wheaton is Pollo Campero, and when I lived in Wheaton it always bugged me that my address was Silver Spring, how about Wheaton incorporating? The original drafthouse is named after its county, Arlington - what's wrong with doing the same for this one? You clearly have a huge inferiority complex and chip on your shoulder. Relax! Wheaton had a successful movie chain there! The problem was, as I recall, that Sony had invested heavily in theaters when it turned out to not be such a good investment for anyone. They wound up selling it back to another local theater chain, who evidently decided that they'd rather go invest elsewhere. At any rate, formerly I used to make it a point to catch the first-day matinees of almost any film that looked remotely interesting at the Wheaton 11. But when the new management came in, I don't know how else to put it, they were actively hostile at least to me. There was something incredibly fishy about the way they were running the place. It's as if the staff were all incredibly unhappy to be there and were just marking time until the place went out of business. Maybe they had invested in such a way that their best option was to "sell short", more or less betting that the place would fail, and making sure that it did. I went there only enough times to be sure that I hadn't simply had one bad experience with an otherwise sound business. Apparently enough other people also decided that there was simply no way they'd ever return to that place until it was under new management; they speedily went under. Well, if we can drink beer while we watch a movie, and maybe get some live acts in there as well, it's definitely going to be an improvement. Particularly UpCounty, we desperately need more live-performance venues that aren't ridiculously overpriced frou-frou arts houses catering to millionaires in Olney. I hope this place works out, but I fear the crime rate in that area will keep most folks away. That Wheaton Metro stop is infamous for being a hotbed of robberies and muggings. I hope they have cop cars every 10 feet like they do in the new downtown Silver Spring. Funny, I go to Silver Spring all the time and I do not see cop cars every ten feet. I suppose people see what they want to see (read, scary place with black and brown people). And I live in Wheaton, go to the mall all the time, and have never been mugged. I'll grant you the demographics are lower-end than Montgomery Mall but that does not mean it's a war zone. It's not a war zone, but people get stabbed in the face at the Target. The last time I went to the movies in Wheaton was a Saturday afternoon to see The Ring. The theatre was filled with thugs and scum (both male and female) shouting at each other and at the movie screen. My wife and I walked out after less than 10 minutes. The manager didn't even ask me the reason when I told him I wanted a refund. 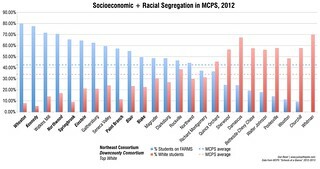 Unfortunately, Wheaton has systemic problems that conflict with the attraction of a regular middle class customer base. Try to be a little more positive... This is good news for all of Montgomery County especally Wheaton and the Drafthouse. (1) The name is Montgomery because we will be all of Montgomery County's Drafthouse. In our Arlington location (Located in Arlington County - thus the name) we are actually located in South Arlington off of Columbia Pike, we get 70% of our customer base that live outside our zipcode area. Our theater draws from a 30 minute drive time on a regular basis. In fact many of our regulars come from as far as Richmond VA, West Virginia, Annapolis MD and Baltimore MD (2) The Wheaton comunity is a great community for us to operate in. As some have commented on this blog and our booth at the Taste of Wheaton - Wheaton needs a diverse entertainment venue. In our case we offer all sorts of entertainment. (3) For those comparing us to a "regular" movie theater, I suspect you have never been to a "Drafthouse" or "Restaurant" style theater as the experience is totally different and are actually considered different industries. (4) As for the quality of our entertainment experience, we were voted the Best Movie theater in the DC area as part of the Washington Post's Best Bet. The Washingtonian selected us as the best thing to do on a Friday night as we offer Wine Night at the Movies every Friday, which has optional wine tastings with experts from the Washington Wine Academy. Our small Arlington location with only one theater offering sub-run films (films that have been out for 2 to 3 months) gets 100,000 visitors a year! In Wheaton we will be offering both first-run films and sub-run discount films in a theater venue with 6 theaters. We easily expect to draw 300,000 people per year in our high quality/high end new flagship location in Wheaton. (5) Live Entertainment: Our live comedy offerings feature the best of the national comedians on a regular basis. Our family friendly live events feature the best local family entertainers weekly. Our film festivals and cult film showcases regularly sell out. We offer live music on a limited basis, however we expect to offer more of it at the Montgomery Cinema & Drafthouse. We are very excited about being located in Wheaton and have for two years been seeking out a central Montgomery County location that could appeal to our existing fan base in MD and DC. Our customers have long asked for a location in MD and we are thrilled to open our Montgomery Cinema & Drafthouse in Wheaton. I used to love going to the Wheaton movies when it was under the previous owner until it became run down. The new Montgomery Drafthouse will be very exciting if it is anything like the Arlington site. The children's entertainers are wonderful and I really enjoy their Arch Campbell Variety Show. This is the new wave in entertainment and we are lucky to have this in our community. 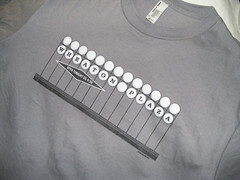 "Montgomery" fits whether it is in Wheaton, Silver Spring or Kensington. Welcome to Montgomery, Arlington Cinema & Drafthouse. Well, it's a little tough to follow Anonymous 7/31/08 12:27. Gotta say I did like getting Pollo Rico. I also designed the logo for Wheaton, the one with the hands, house etc. We frequent Chuck Levins for my daughters school instruments. Also drop too much money at the Wild Bird Center. Used to be a great little Thai place in the row that was burned out. It was long gone by the time of the fire, replaced with yet another chicken place I think. Just bought a ton of paint from Benjamin Moore on University. Not to mention the great pho at Pho Hiep Hoa, the best pho imho. I hope things work out for Wheaton.